Better than a faded diary or a tattered photo, this fine collection captures the spirit of those who stayed at home. 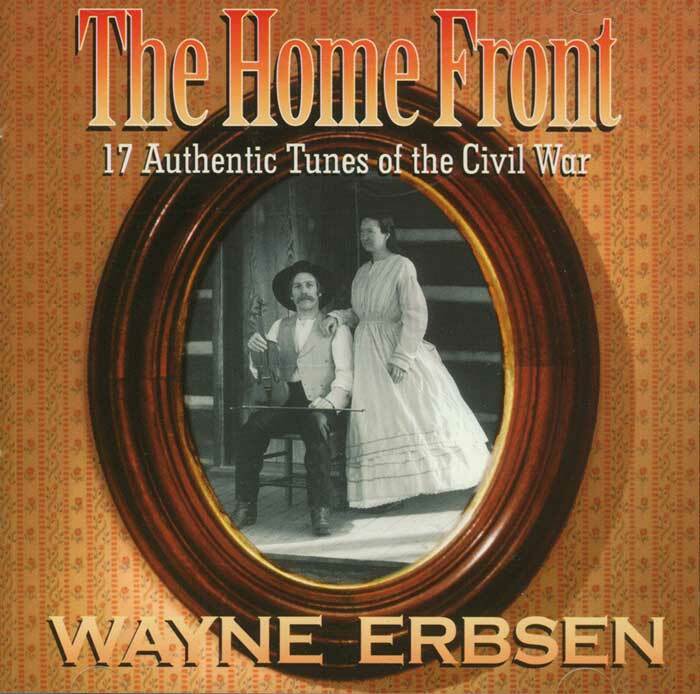 Included are both Union and Confederate patriotic tunes, sentimental pieces, minstrel songs, popular tunes of the day, songs of returning soldiers and runaway slaves. Cassette insert includes words to all the songs. 45 minutes, 13 instrumentals, 4 vocals. Click musical notes, below, to hear a short sound clip of that song. SONGS: Kingdom Coming, Yellow Rose of Texas, Cumberland Gap, Camptown Races, When Johnny Comes Marching Home, My Old Kentucky Home, Cotton-Eyed Joe, Buffalo/Alabama Gals, Wild Horses at Stony Point, When I saw Nelly Home, Run Johnny Run, Johnny Has Gone for a Soldier, The Minstrel Boy, Rebel Soldier, Old Dan Tucker, Leather Britches, Darling Nelly Grey. Be the first to review “The Home Front” Click here to cancel reply.